The Gallery Attendant role means overseeing the front reception area and welcoming visitors to the only art gallery in Canada solely devoted to the artwork of young people! 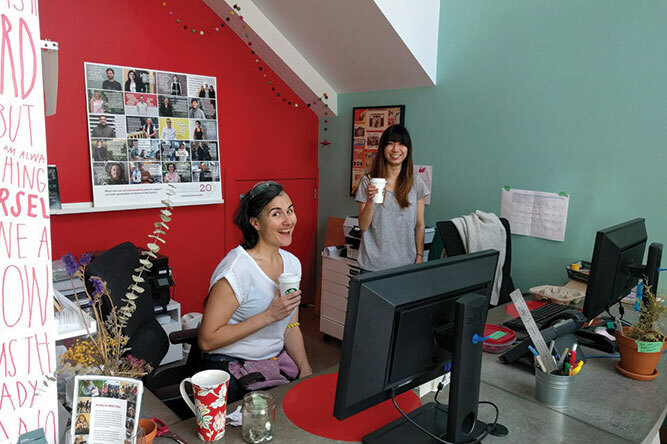 Gallery Assistants support the ArtStarts Staff with daily administrative and gallery related duties and reports directly to the Administrative Coordinator. Best Suited for: Those keen to learn more about galleries and charities, who are happy to engage with the public, and who love art! Commitment: Long term, minimum of 4 months required. The ArtStarts Gallery is the only free, public gallery in Canada exclusively dedicated to young people's art. Since the gallery opened in 2006, our exhibitions have celebrated the exciting artwork that emerges when students, educators and professional artists work together to deepen learning, creativity and community connections. Our exhibitions often showcase the inspiring work resulting from ArtStarts' Artists in the Classroom grants, which support opportunities for schools to work directly with professional artists to learn in and through the arts. ArtStarts in Schools is a charitable organization that seeks to expand the role of arts in education for the benefit of British Columbia's young people. Since 1996, ArtStarts has supported educators, artists, families and young people by offering a broad range of programs, services and resources.